Ed Bonja needs little introduction to most Elvis collectors and his pictures are some of the most famous images of Elvis ever produced. While his photographs can be found on nearly all of Elvis’ LP covers in the seventies and in every Elvis book, he has also published his own, "Elvis: Shot by Ed Bonja" as well as the DVD "Elvis, The Colonel & Me." Ed Bonja worked for Colonel Parker throughout the seventies but was part of the Elvis family since his childhood. This year Ed Bonja took part in the Las Vegas Elvis week celebrations and EIN’s Piers Beagley spent a few hours talking with him about his fascinating life. In Part 2 Ed reminisces about The Final Years. EIN – Isn’t it true that Tom Diskin was a very smart man who did always keep souvenirs and didn’t gamble his money? Ed - He was a very sharp guy, a very quiet guy. He amassed a great deal of wealth, mainly in real estate in Tennessee. He got all he ever wanted and was living a fine life until he had that automobile accident. It was so sad. EIN - At one point Elvis fans were hoping for a pile of undiscovered recordings to be found in your Uncle’s house but nothing new has turned up and I believe your aunt has gone through everything of Tom’s. Do you know or believe there are more tapes that will be discovered? Ed – If anything existed I’m afraid it has been destroyed or lost by now. Before he died Tom used to tell me about some unreleased rehearsal tapes he had, but Tom was extremely protective and, if he thought if it wasn’t good for Elvis’ image, it wouldn’t be seen or heard from again. He probably destroyed them. EIN – That is sad because nowadays, with FTD releasing complete rehearsal tapes, we do get to hear Elvis swearing & fooling around - but in the end it only helps prove that Elvis was human after all. Ed - Exactly! 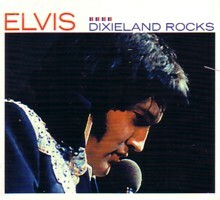 It does help everyone to understand the real Elvis and all the fans love it. If the tapes were destroyed or hidden away some place so no one ever gets to hear them it is a real shame. EIN - Your last photos are from August ‘75 I think. Is it right that you stopped taking photos because you hoped that Elvis was going to get himself back into better shape? What did The Colonel say? Ed – I always had my cameras with me but even before 75, when Elvis put on a little weight I’d notice it at the beginning of the Tour and I’d deliberately leave my cameras on the plane. I just didn’t want to shoot him if he wasn’t looking really good. Then in 1975 I decided that I’d just hang on until he lost some weight - but sadly it never came to that. I actually talked about it with The Colonel and he agreed 100% that Elvis needed to lose weight. Looking back at it, it surprises me when I think that The Colonel often didn’t seem to particularly care what pictures he used of Elvis. EIN - What did you feel when you realised that it was all getting worse? That period in mid 1976 sounds terrible? Ed – That was a bad, bad period. That’s why when people asked me if I was surprised to hear that Elvis had died, I said I wasn’t surprised at all - but I was shocked. EIN - Do you think that anyone could have done anything more to help Elvis in those years? Ed – Boy, that is the billion dollar question. 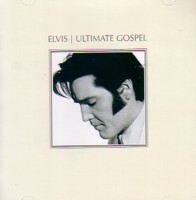 Because Elvis had so much power, so much strength and so many connections, who could stand up to him? Jackie Kahane (comedian) and I used to have lunch every month and he was writing a book called "I killed Elvis". He said he used that title because he, like everybody else, could see what Elvis was doing to himself and how he was deteriorating. But for whatever reasons, fear of losing his job, fear of getting Elvis angry, he kept silent. As did everyone else. EIN - Did you have anything to do with Dr Nick? In your opinion was he a good or bad influence for Elvis? Ed – Well actually I liked Dr Nick and used to get along with him. Dr. Ghanem was also my doctor in Vegas. He told me how he would dump stuff out of capsules and put in placebos too. He knew that a lot of other stuff was being prescribed by different Doctors but he said he had nothing to fear as he tried his best for Elvis and tried to help him get off anything that he shouldn’t have been on. EIN – What would you say about the idea that The Colonel at the end was just flogging Elvis to death on tours just to support his gambling habit? Ed – Well, the tours wouldn’t have taken place if Elvis hadn’t wanted them to. You know when they had that major break up in Vegas, in September 73, Elvis had told him, "Stay out of my personal life, I’m my own man". If Elvis at that point had said to The Colonel, ‘I want to take six months or a year off’, it would have been done! To emphasise that, when The Colonel once tried to talk to Elvis about the drugs and things, Elvis just went crazy. That was when The Colonel typed up the terms of the dissolvent of the contract. 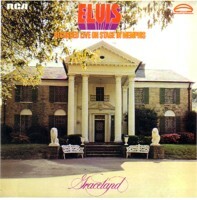 George Parkhill (of RCA) took them upstairs to Elvis’ suite at about 6 o’clock in the morning. We all went back to our offices at MGM in L.A. and we just waited. A couple of weeks went by and I came into the office one morning and The Colonel was sitting in his office when the private line rang. This was the phone line that only Elvis or Vernon called on. I picked up the phone and Elvis said, "Hello Eddie, is The Colonel there?" I raced around to get The Colonel and said, "It’s Elvis on the phone!" Well, typical Colonel he says to me, "Tip me off, how does he sound?" - and I said, "very mellow." It was a very strange conversation with the Colonel just saying four or five times, "Yeah, Yeah" and then, "I’ll arrange it." After that he hung up. I immediately asked The Colonel, what did he say? 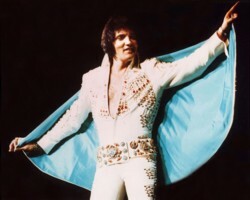 And he replied, "Elvis just said, ‘He wants things to be the way they were and he wants to go out on tour again’." And that was the end of the fighting, and the break up. There had to be such psychological dependency between the two of them. They were inseparable. EIN – He was obviously a complicated & manipulative man. Have you read Allana Nash’s very thorough book on The Colonel? Ed – No I haven’t. I have not read any books about Elvis or The Colonel since I figure that I was there and I don’t want to know another person’s opinion. I did have Allana Nash contact me for interviews, but I have never let anybody do that. The Colonel was a very, very complex man and although people want to say that he was a "No Good", I would say no, he wasn’t bad. - And there’s very little genuine proof of anything in that way. EIN – What are your regrets? Ed – There are always hindsights and regrets. One of my regrets is the fact that we would often have meals up in The Colonel’s suite, as it was a very family thing. The Colonel would habitually regale us with stories about the old days. Fascinating stories - and he was a very, very good storyteller. I only wish that I had written them down or taped them. EIN – Let me ask you what you thought of your book "I Shot Elvis" because, although your photos are great, a lot of people were disappointed in the production. Ed – Unfortunately I have to agree that the publishers did a terrible job with that book. Sadly the Danish publisher did not do me any justice with that at all! I was to fly over there to check it and give my final approval but they said not to bother since it was already done. Of course I complained, saying that I needed to approve it, but he said "Don’t worry, it’s a great book." When I finally got the finished copy I sunk to the floor practically. It was tragic. EIN – Have you got anything else planned? Ed – Well to try & rectify that, I’m now working on a high-quality book. I’m working with a designer in Germany and I think it’s going to be very special. 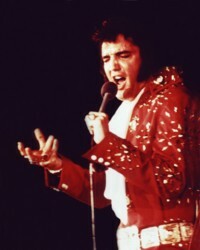 I took around 10,000 photos of Elvis but there are only a couple of hundred that remain unpublished. 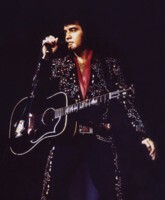 I have a photo of Elvis that’s never been put out where he’s wearing the Black Fireworks suit and he’s got only one single spotlight on him. It’s black all around him and he looks like a black panther. It’s a really extraordinary shot and I need to use it for something very, very special since, when it comes out, it will be stolen by everyone all over the world. I’m not sure if we’ll be using it for the cover of the book but we’re hoping to get the book out around Christmas. EIN – Let me ask you about the final year. I presume that you were there for the 76/77 New Year’s show. What a blast that is, possibly Elvis’ last great show – what do you think? Ed – I look back at that one and think that I probably should have taken some photos, as he was back in good form - but it really caught me by surprise so I didn’t. The older I get the more I realise all the great things I’ve been through and what great opportunities I had but how I didn’t realise it at the time. EIN - The Spring tours of 1977 were a terrible affair. With perhaps Ann Arbor being the slight exception. What was it like to be there at such a low point? Ed – (sighing) It was shocking, he was very, very bad. I was there at Baton Rouge, Louisiana when they had to announce to the sold-out audience that Elvis had been flown to Memphis hospital. It was really sad. You know what, at that point I found just enough strength in me to walk away before I also got lost in the deep-end. EIN – So I have a tricky question here. Why did you quit? Was it the pressure of touring and didn’t you also get into bad gambling habits like The Colonel? Ed – (Laughing). Yeah, that’s true. The Colonel used to say to me about roulette, "You make a lot of money, you should play!" Well I didn’t want to play ‘cos I didn’t care for the game that much and I always lost! He’d say, "It goes with the job." The night I left, May 1st 1977, I stayed up all night with The Colonel playing roulette, craps and I lost 12 thousand dollars! It was a fortune to me and it was like him losing a million, which he did practically every day. We’re walking upstairs and he says, "Well, we had a pretty good night." I’m thinking that I didn’t have a good night and I was losing more than I made! Well that coupled with being physically sick - as the Tours always drained me - and at the same time I lost out on one of the most important relationships of my life. I was emotionally drained & depressed. I sat on my hotel bed and realised that I didn’t have a life. My entire life was ‘The Elvis Presley Show’ & working with The Colonel and, not only that, but I was losing money like crazy! I just picked up my briefcase, leaving all my clothes in the wardrobe. I walked out of the Hotel room, lay my room key on the guard’s table and said, "Tell The Colonel I said goodbye". I took a plane home, disconnected my phones, and I never looked back! EIN – Leaving at that point, you must than have been shocked when you heard they were making the 1977 TV special? Ed – You know, I started to watch that TV special but when I saw Elvis come out and Ed Parker was there with someone mopping Elvis’ brow, and I looked and I thought, "Oh my god, he’s already dead" and I turned it off. And to this day I have never watched it, I couldn’t. EIN – So to get us out of this mood, can you tell me your favourite memory of the great fun times you had on Tour with Elvis? Ed – That’s really hard because there are so many. I remember enjoying one night particularly and it was a closing night after a Lake Tahoe engagement. As usual Elvis had a party for everybody. (Laughing) I had found this lovely young lady who I’d taken up to the party with me and we were sitting across from Elvis on a couch. Elvis was sitting there with his guitar, singing some songs. He’d start some songs and then he couldn’t remember all the lyrics. Well I helped out & told him the lyrics - and this happened 3 or 4 times. Finally Elvis laughed and said, "Eddie, how come you know the words to all of my songs?" I said, "Well, I type up of all your songs and keep them in a lyric book!" He then did a fabulous laugh, as he thought that was very funny, and that I knew the lyrics better than him! You know, to be there in a small room while Elvis was creating music for a few close friends – a lot of people can’t comprehend just how magic that would be. EIN – Eddie Bonja, you are a very lucky man to have spent so much time with Elvis and so many of his friends. Ed – (Laughing) I’m beginning to realise that! EIN – Thanks so much for letting me take up so much of your time. Ed - It’s been a pleasure and I’d love to get to Australia one day and next time we can do it in person! Note - This interview took place on August 5th 2004, just 2 weeks before Ed Bonja & Al Dvorin's tragic car crash. Ed Bonja not only lost a best friend in the accident but also lost a large number of his precious possessions. There are tentative plans for a fund-raising Elvis show in Las Vegas in November to help pay for his bills. Ed is still bruised & battered but is recovering. EIN wishes him all the best. EIN would like to thank Paul & Joan Gansky for their assistance in arranging this interview.